Assisi is probably the best known town in Umbria thanks to the town’s (and the world’s) most famous saint, St. Francis of Assisi (1181-1226). 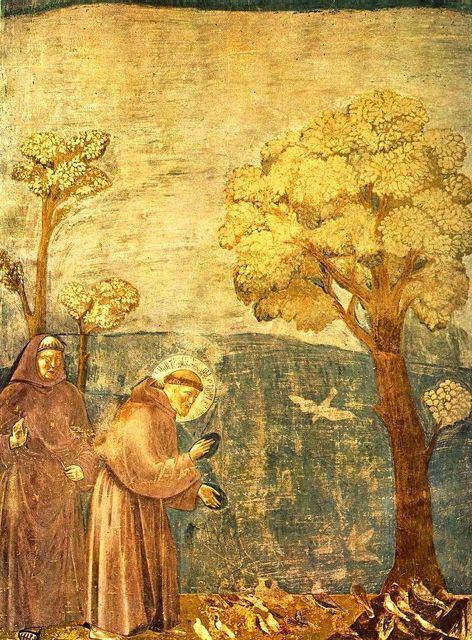 St. Francis preached a type of Christianity that spoke of humility and compassion for the poor, not a message that wealthy members of the church necessarily wanted to promote. Upsetting orthodox church teachings was a dangerous pastime that could easily result in being burnt at the stake. Luckily for Francis, the power of the huge religious revival that he started was harnessed by the church and he was granted a religious order. The new modern day pope, Francis I, by choosing the name of the saint, has sent a clear signal that he intends to reconnect with the ordinary members of the church. 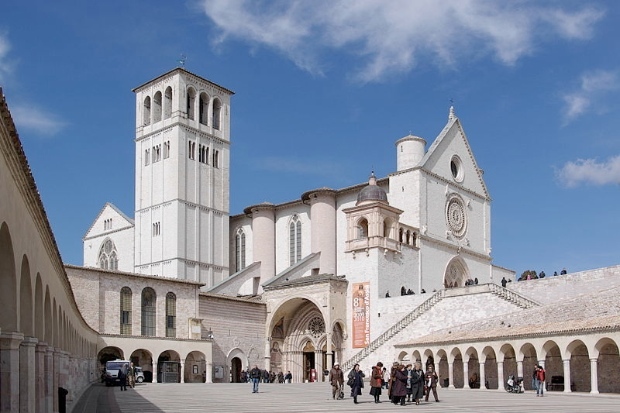 In 1228 work started on a huge church in Assisi to commemorate the life of Saint Francis, the Basilica of Saint Francis is in reality two churches, an Upper and Lower Basilica. The huge size of the church showed how important St. Francis had become, but in all likelihood it was not something he would have approved of. However, one of St Francis’ wishes was complied with; the church built to house his body was built at the end of town where previously criminals had been hanged. The Basilica uses elements of the Gothic and Romanesque architectural styles, for example, the Upper Basilica mixes a Romanesque rose window with Gothic (pointed) arches in the interior. 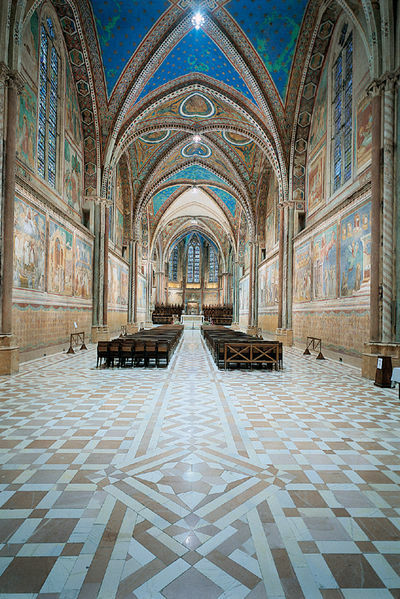 Badly damaged in September 1997 by an earthquake, the Upper Basilica was restored and re-opened within two years. 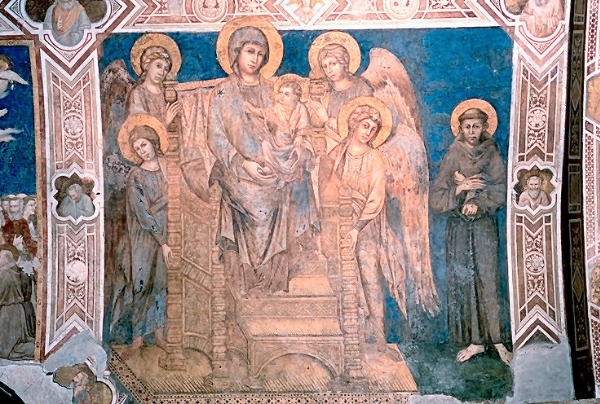 One of the world’s most famous fresco cycles (attributed to Giotto but disputed by many) is painted on the walls of the nave, it depicts scenes from the life of Saint Francis. Painted around 1300, these paintings are important to art historians because they show a break from traditional style of medieval painting, the faces have emotion, the figures are solid and show movement and the scenes have some perspective. The Renaissance didn’t suddenly appear in the 1420’s, art was developing long before. Frescoed on the transept of the Upper Basilica are biblical scenes by Giotto’s teacher, Cimabue. 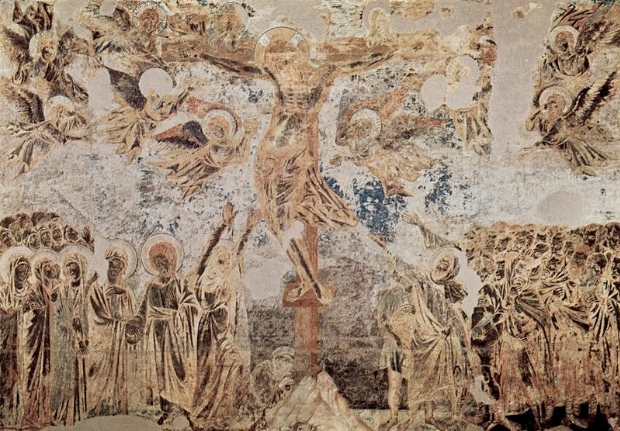 The white pigment, based on lead oxide has turned black giving the frescoes a strange negative image effect. The Lower Basilica is darker and lower ceilinged than the Upper Basilica, it has works of art by Cimabue, Giotto, Pietro Lorenzetti and Simone Martini. 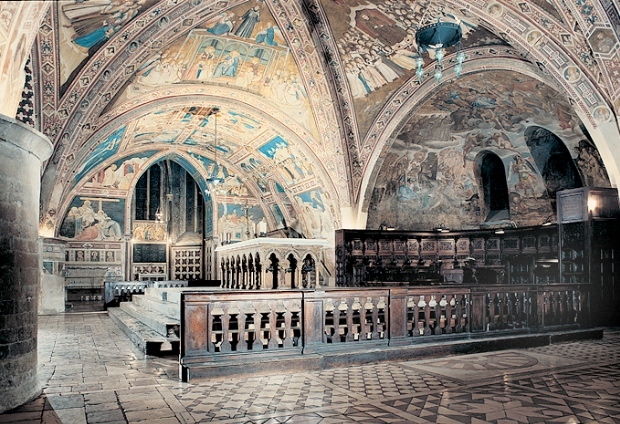 The decoration of the Chapel of Saint Martin was designed and implemented by the Sienese artist Simone Martini, his work includes the floor, the stained glass windows and the frescoes. The paintings are quite hard to view thanks to the bright down lights but are well worth persevering with. If you go in through the entrance to the Lower Basilica the chapel is on the left hand side of the nave. 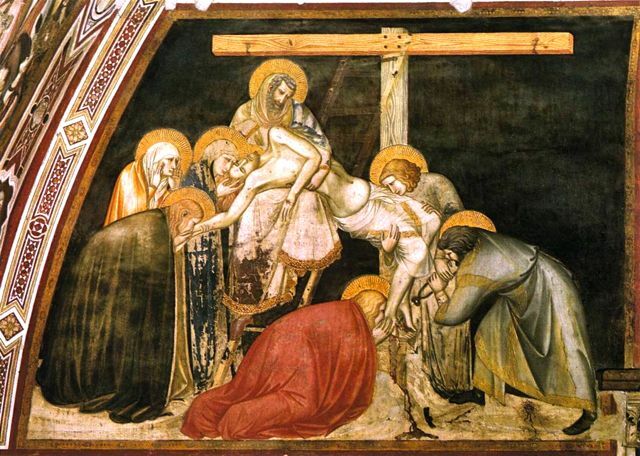 Pietro Lorenzetti, a Sienese artist and contemporary of Giotto, was a master of composition, look at the Deposition and you can see how the figures and the body of Christ form a triangle. 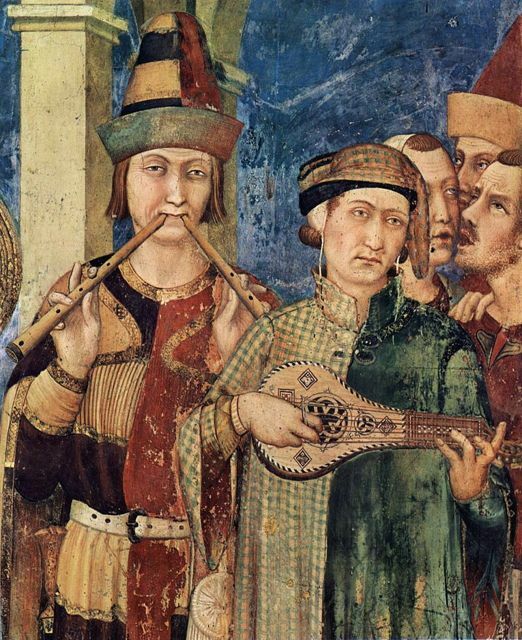 As with Giotto’s painting, Pietro Lorenzetti showed emotion on the faces of his subjects and he was beginning to master perspective seventy years before the start of the Renaissance. Pietro’s brother, Ambrogio, painted the Allegories Of Good And Bad Government in Siena.